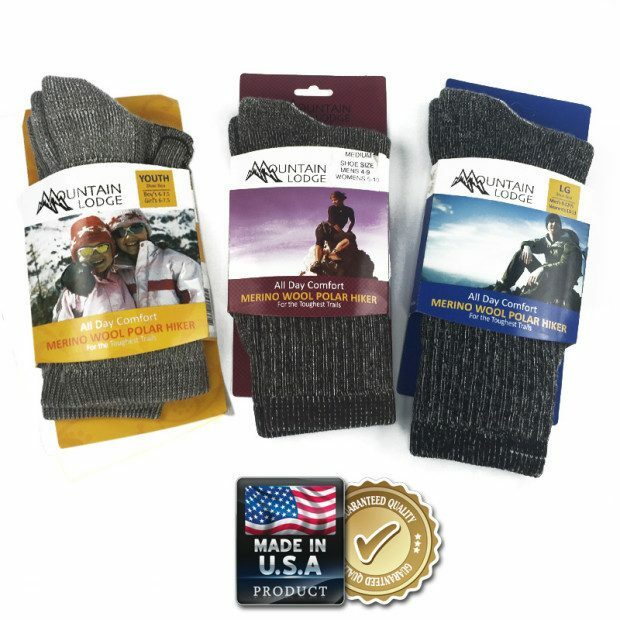 Mountain Lodge Merino Wool Socks - 2 Pairs Only $7.99! Ships FREE! You are here: Home / Great Deals / Merino Wool Socks – 2 Pairs Only $7.99! Ships FREE! Merino Wool Socks – 2 Pairs Only $7.99! Ships FREE! Order these Mountain Lodge Merino Wool Socks – 2 Pairs Only $7.99! Ships FREE! Stay warm with this incredible deal on Merino Wool socks. If you want all day comfort and all day warmth, these are the socks for you. They’re made right here in the USA! Each size includes 2 pairs of socks. Colors may vary.